I love spices but I never seem to branch out. This is why I am very excited to try RawSpiceBar. They send you three spice blends with recipes, the origins of each spice and storage instructions. Stay tuned for the post about the recipe I will be making using their spices when I receive the January delivery. 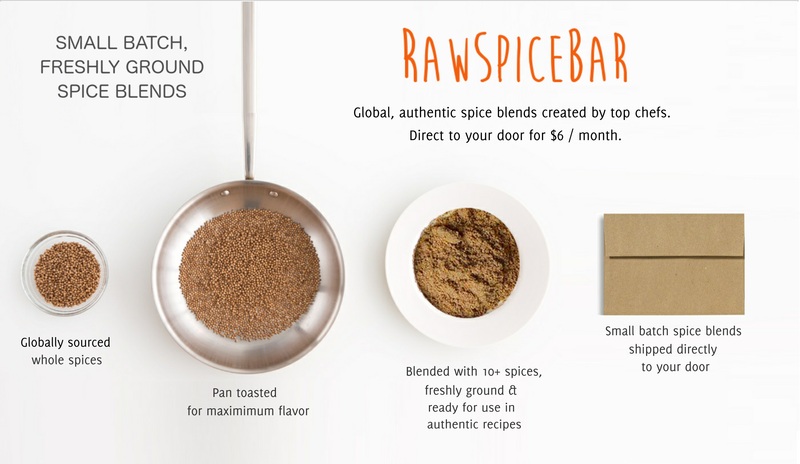 RawSpiceBar delivers 3 premium spice blends from around the world direct to your door. 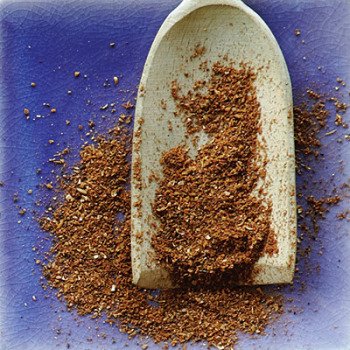 They work with top chefs to create a unique and interesting spice blend for you to try out. Each spice box averages ~2 ounces of spice blends and yields a complete 3 dish meal for 8-12 people. All the spices use ingredients of the highest quality (and they opt for fair trade and organic spices where possible), sourced from global spice producers. Each box costs $6, RawSpiceBar covers your shipping costs (in US), and you can purchase for a 3, 6 or 12 month period. You can cancel or pause this subscription at any time. This is also a great gift idea for the holidays, host gift, housewarming and for anyone that likes to eat. Check out their website for more information.